You know what I really dislike doing when discussing any food plans with any of my clients? I truly dislike talking about the things that clients should refrain from eating. I always prefer to discuss what clients CAN eat. It is a much nicer and kinder way to go about cleaning up their diet. If I only talk about “restrictions”, my clients feel like they are eating in a restrictive fashion. I want them to feel good and happy about their new meals plans so let’s discuss all the inclusions you will have when starting a ketogenic lifestyle. Imagine that you and I are going grocery shopping together and we walk into the supermarket. We are going to get hit first with the fresh produce section. This is where we will purchase our low carb fruits and vegetables. This is where the magic happens. Let’s grab some lettuce – any kind of lettuce works because there are so many different kinds of wonderful lettuce. Fill up your cart with all types of greens such as collard, kale, mustard, spinach, swiss chard and turnip greens. While we are in the produce area, grab some asparagus, avocados, bok choy, celery, mushrooms, radishes, tomatoes and zucchini. See a pattern here? when living a low carb, ketogenic lifestyle, we are permitted to eat lots of low carb vegetables. When it comes to fruit, we are going to stick with low sugar berries such as blackberries, raspberries and strawberries. When we turn the corner of the produce section, we are going to find our meat and seafood. We can purchase some beef, chicken, lamb, pork, bacon, sausage, salmon, seafood and white fish. We can also pull up to the Deli Area and grab ourselves some good quality sliced chicken, ham, turkey, pastrami, pepperoni, chorizo and prosciutto. After we finish at the Deli Area, we will find the Dairy Aisles. Here we can get some grass fed butter, heavy cream, soft and hard cheeses, eggs, plain greek yogurt, sour cream and almond or coconut milks (no sugar added). We try to stay out of the regular aisles in the supermarket. That’s where all the processed foods reside. We can enter those aisles for the following food items: avocado oil, coconut oil, olive oil, canned fish and seafood, olives, hot sauces, mayonnaise, mustard and apple cider vinegar, seasonings, spices, dried herbs, soda water, coffee, tea and unsweetened beverages, nuts, seeds, and beef jerky. We have a full cart of healthy ketogenic food. We have enough to make meals for two weeks. This is not a restrictive way of eating. It is an inclusive way of eating and we are moving towards real, live, natural, good quality food. 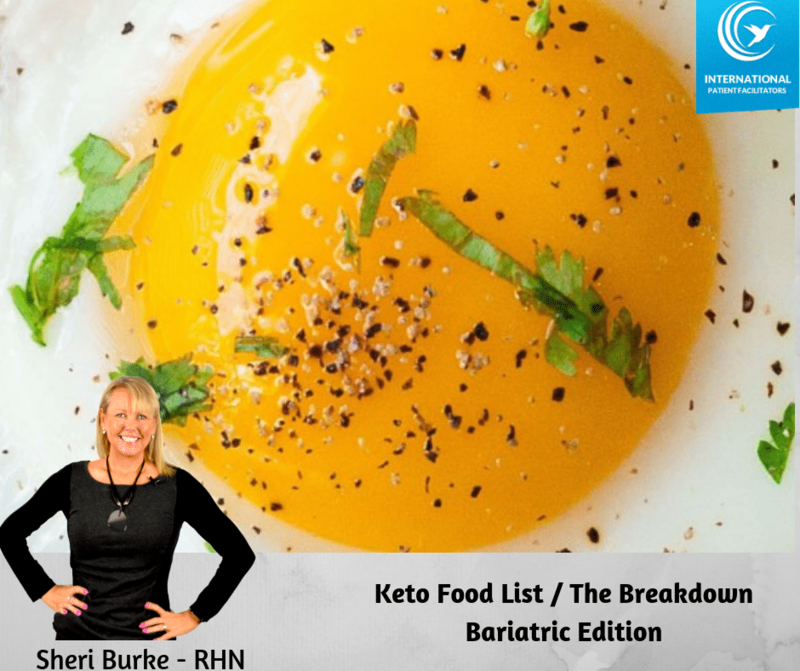 About the Author: Sheri Burke is a Registered Holistic Nutritionist and Bariatric Surgery Coordinator at International Patient Facilitators in Tijuana and Cancun, Mexico. She has worked with bariatric surgery clients for over 10 years and especially enjoys providing nutritional guidance to pre and post bariatric clients. In her free time, she enjoys spending time with her husband and two teens and cooking up a nutritional storm in the kitchen. 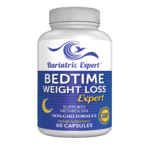 Time for a “bariatric expert” multivitamin ? 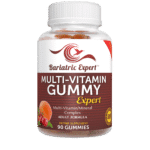 Here is a perfect way for bariatric patients to get it now on Amazon: Bariatric Expert MultiVitamins. 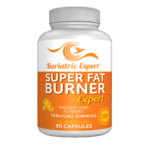 Eat Like a Bariatric Expert with our Nutrition Plans. Feel free to share your victories and struggles in our Facebook Group. I would love to connect with you. Stay motivated with Bariatric Wristbands – post your results online ! The content of the Web Site, including without Imitation, text, copy, audio, video, photographs, lustrations, graphics and other visuals, is for informational purposes only and does not constitute professional medical advice, diagnosis, treatment or recommendations of any kind. Personal results may differ for each individual. 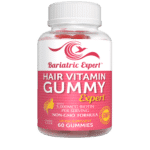 You should never delay seeking medical advice, disregard medical advice or discontinue medical treatment because of information provided by this website. Any information provided by International Facitators Mexico Inc. in person, by telephone or through marketing materials, including but not Wilted to, al print audio and °nine information is for informational purposes only. Reliance on any information appearing on this Web Site is solely at your own risk.